Uri box office collection day 32: Uri: The Surgical Strike starring Vicky Kaushal and Yami Gautam has taken the box office by a storm. Continuing its dream run at the box office, the film has earned Rs 214 crore and is in no mood to stop anytime soon. 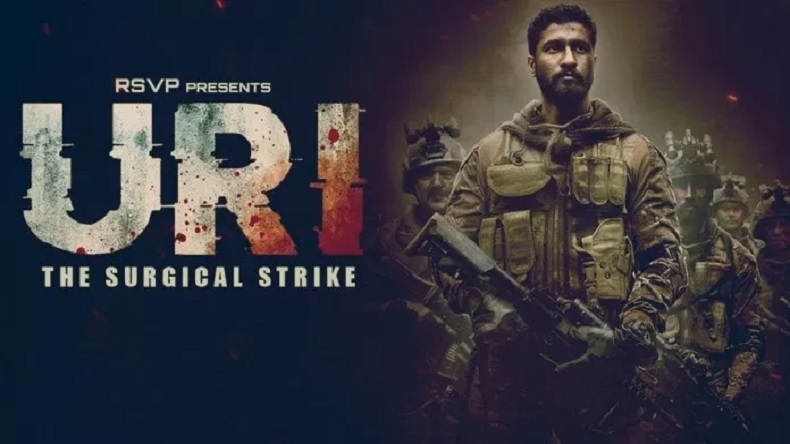 Helmed by Aditya Dhar and bankrolled by Ronnie Screwvala under the banner of RSVP films, Uri had released on January 11, 2019. Content over star power, this was the big lesson of 2018. Following the trend this year, Bollywood actor Vicky Kaushal’s latest release Uri: The Surgical Strike, which released on January 11, is continuing its dream run at the box office. In about a month, Uri has registered its name in the Rs 200 crore club and is in no mood to slow down anytime soon. Film critic and trade analyst Taran Adarsh recently took to his official Twitter account and revealed that Uri has earned a total collection of Rs 214.56 crore. After overshadowing Ranveer Singh and Sara Ali Khan-starrer Simmba, Uri went on to give a stiff competition to subsequent big releases like Kangana Ranaut-starrer Manikarnika: The Queen of Jhansi and Sonam Kapoor, Anil Kapoor, Rajkummar Rao and Juhi Chawla-starrer Ek Ladki Ko Dekha To Aisa Laga. It will be interesting to note whether the military drama would be able to stand tall against this week’s much-anticipated release Gully Boy starring Ranveer Singh and Alia Bhatt. Reacting to the popularity of Uri’s catchphrase ‘How’s The Josh’, Vicky Kaushal had earlier penned a heartwarming note on Instagram and said that How’s The Josh is not just a line anymore, it is an emotion. Mentioning how he is receiving How’s The Josh videos from all age groups, professions and even from the Jawaans in the armed forces, Vicky thanked everyone for the overwhelming love and support to the film. Post Uri, Vicky Kaushal will be seen in Karan Johar’s magnum opus Takht. The film is slated for a theatrical release in 2020.